IOTA is a distributed ledger technology based on a data structure called the "tangle". The tangle retains similarities to blockchain while removing the block structure in favor of a directed acyclic graph structure. There are no specialized miners in the network. Every user who generates a transaction on the network must do a small amount of proof-of-work to validate two other transactions. This enables a zero transaction fee model in which the only cost paid by users is the proof-of-work needed to validate two transactions per transaction initiated. The smallest indivisible unit of currency is called an IOTA. There is a fixed supply of 2,779,530,283,277,761 IOTAs in existence. IOTA runs a centralized close source Coordinator as announced in their blog post on transparency. The purpose of the coordinator is to provide a milestone checkpoint to resist against attacks on the network while it the network is young. The coordinator has been a source of discussion on decentralization for young distributed ledgers. Neha Narula, Director of the Digital Currency Initiative at the MIT Media Lab, along with colleagues posted an investigation into cryptographic vulnerabilities in IOTA. Contact with the Neha Narula prior to this blog post inspired IOTA to temporarily switch from a cryptographic function of their own design known as Curl to the more standard Keccak (SHA-3). IOTA's Sergey Ivancheglo posted a response to the investigation suggesting the vulnerability was previously known and intentionally included as a copy protection mechanism. This inspired debate from various members of the cryptocurrency community including a constructive criticism from Vitalik Buterin and other members of the Ethereum community. ﻿Bitfinex was the first major exchange to list the IOTA token on June 13, 2017. At the time of listing IOTA market cap was valued at over one billion dollars among the highest public listing price at the time. 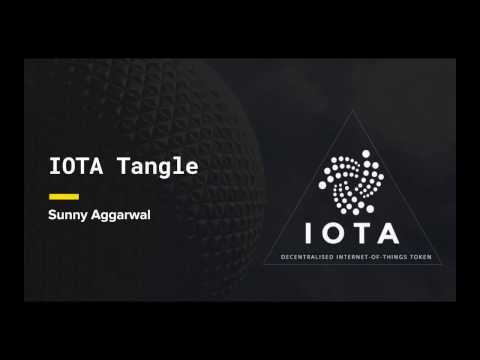 The IOTA team claims the tangle architecture allows for infinite scaling whereby speed is limited by the amount of transactions on the network. IOTA is written in ternary rather than traditional binary. ﻿Consensus on validity of blocks is reached in a probabilistic way. Is The IOTA Cryptocurrency Project Built To Last And Be Here For The Long Haul?